SciFiCollector has a little something for you. Following the recent release of two classic T-shirts, the Stamp Centre's Sci-Fi Collector	site presents three more First Day Covers. 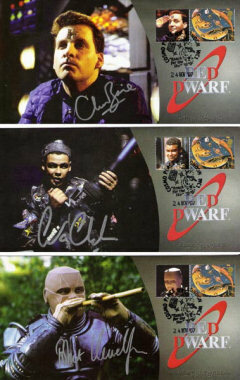 Retailing at £14.99 each, the Rimmer, Lister and Kryten covers are signed by Chris Barrie, Craig Charles and Robert Llewellyn respectively. 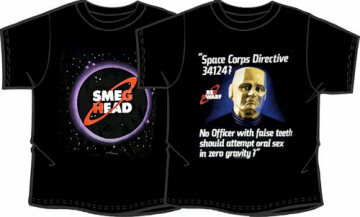 While we're on the subject, if you're signed up to the reddwarf.co.uk mailing list this week you'll be receiving a special code by email that entitles you to a discount on all three new covers as well as those smashing T-shirts. You can register with reddwarf.co.uk via to the box on the homepage.